Our Wall landscape designers will help you bring your landscaping and lawn care ideas to life and make them work within your budget. 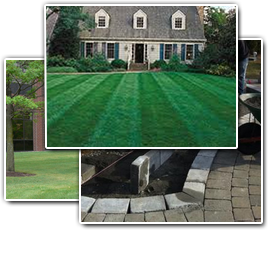 Not sure what type of services you might need as you design a new landscape or outdoor space? We will work with you to assess your situation and make it work for you saving you countless hours and dollars! Professional landscaping design provides an interesting landscape environment that will add long lasting beauty to your property. Lawn Pro specializes in Bobcat services to help create outdoor environments, extended living spaces where our clients can relax or entertain in an outdoor oasis custom designed to fit personal taste and budget. For over 10 years, Lawn Pro Lawn & Garden Service has been providing home and business owners in Wall with all of their lawn care and landscaping needs. We are your one stop shop when it comes to your Wall lawn. We provide complete lawn maintenance services like: lawn & garden maintenance, landscape design, lawn fertilization and custom bobcat services. 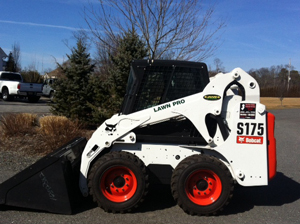 If you are looking for Wall Bobcat Services then please call 732-614-6225 or complete our online request form.